Sprinter Leon Baptiste has announced his retirement from competitive athletics. The 28-year-old explained how he has not been able to fully recover from the knee injury which ruled him out of the London 2012 Olympic Games. Baptiste, who won double gold at the Delhi Commonwealth Games four years ago, had last year spoken to AW about his hopes of defending his two Commonwealth titles in Glasgow this summer, but has now confirmed how he will concentrate on his coaching career. “As much as I am sprinting and progressing, my body has never fully recovered from my knee surgery,” explained Baptiste, who sustained his injury at a warm weather training camp in Portugal prior to the London Games. “My coach and I feel that Glasgow Commonwealth Games qualification is a tall order – so the time has come for my focus to move elsewhere. “The decision for an athlete to retire is never easy, especially with the defence of my titles just around the corner, but in essence the decision has been made for me. 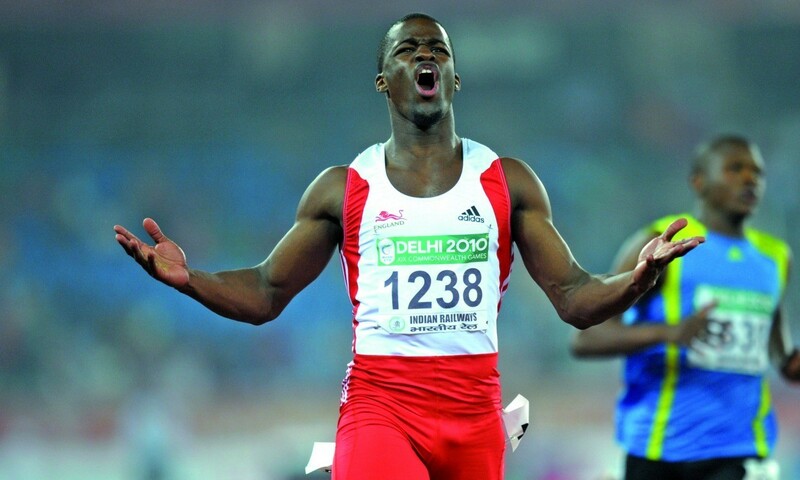 Baptiste stormed to 200m success in Delhi in 2010 to become England’s first Commonwealth sprint gold medallist since 1998. Claiming that title, along with victory as part of the 4x100m team, was a career high for the sprinter, who won European junior 100m gold back in 2003. “I will also be carrying on my work with the Sky Sports Living for Sport Programme with the Youth Sport Trust – going into schools to motivate youngsters to use sport to make a difference to their lives,” said Baptiste. The sprinter has been developing his coaching skills under the guidance of his own coach and mentor, Steve Fudge. Fudge said: “British sprinting is on the rise at the moment. This has been down to the focus on coach education. Better coaches have brought us faster, healthier athletes. If we want to see the event group continue to flourish we have to keep investing in developing coaches by allowing talented young coaches, like Leon, a framework to grow and develop in their own way.